Do not underestimate the development of China! Don’t miss the key related trends and the growing impact this emerging nation is having on our global economy today. The consequences for Swiss Enterprises, particularly for SMEs, are major and urgent. Facing direct competition from Asia, as well as making good on opportunities in China, are challenges that need be met fast in order to remain globally successful in the coming years. Switzerland’s high cost and quality production structure have brought its economy to a good position to benefit from China’s development, better than the rest of the developed world’s. Nevertheless, the time has come for Swiss niche leaders to develop clear strategies to take a stronger position in China and Asia, to ensure long term global success. Doing so, they will keep generating the innovations and value that support the Swiss quality of life. Further to the world’s conquered mass consumer goods markets (clothing, household appliances, and electronics, among others), industrial components, machinery and all other types of equipment are becoming a growing part of Chinese exports. China already produces 80% of the world’s consumption of tractors, 60% of the penicillin, 50% of the vitamin C, 70% of the DVD players, 50% of the telephones, 60% of the artificial diamonds and 75% of all watches manufactured in the world. In addition, with the cancellation of the global multi-fibres agreement and the removal of the textiles export quotas by the end of 2007, China’s share in the world textile output is predicted to jump from 30% to 50% within a couple of years. Moreover, China’s world market share of the lowest-tech items is growing constantly. By 2009, the country is expected to produce 74% of all manufactured mobile phones. The current middle class of about 100 million consumers is expected to grow to 400-500 million by 2012, making China’s domestic market larger than the North American domestic market. In the coming 10 to 15 years, all signs indicate that China will be the largest world market and the number one world economic power. Unless the current development process be halted by any – unlikely – social, financial or epidemic catastrophe. About 300 million Chinese (a population the size of the US today) live in cities. Anticipating the on-going competition generated by joining the WTO Agreement and the world economy altogether, China’s Government is planning to urbanize 300 million surplus farmers in the coming 15 years. As a result, for the time being, unemployment in cities is growing. To compensate, families have put education as their top priority, slowly but surely increasing pressure to many fields: in Shanghai for instance, salary expectations of newly-graduated students have dropped by an extraordinary 30 to 50% between 2003 and 2004. Even as the Yuan increases in value against other world currencies, it is very unlikely that the level of cost of labour will rise within the next 10 to 15 years. At least, until this surplus labour force is absorbed. While the Chinese consumer goods market is the main turf of large companies and mostly a battle between Chinese and locally-established multinationals, the supply of equipment and industrial goods to the Chinese enterprises and the locally-established foreign subsidiaries is a market in the making; with considerable and growing opportunities for Swiss SMEs. The smaller the company, the more timing is of the essence. Small firms cannot afford to invest too early and wait for returns. Neither do they have the required resources if they enter late and have to catch up the market. As Chinese producers become able to better serve more and more international companies in China, they will inevitably start to export and become major players on all world markets. Chances are, the fierce competition will soon affect even the Swiss niche champions. Therefore, over the medium and longer term, success on the Chinese market is a must in order to maintain competitive production and global leadership. Since 2001, China (including Hong Kong) has been buying more Swiss goods than any other nation in Asia. Meanwhile, the demand for machinery and equipment to satisfy the production needs of this Workshop of the World’ is indeed a considerable opportunity for developed economies and especially for Switzerland. The Swiss Center Shanghai provides the most adequate instruments for SMEs to enter the Chinese market in the safest possible conditions with the full backing and guidance of a dedicated organization. Quite naturally, the Swiss Center Shanghai offers premium service to all – and priority to Swiss SMEs. 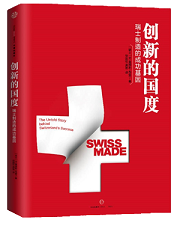 Below you will find, in a condensed form, some key information on selected industries which are relevant to Swiss enterprises, as well as in-depth analyses of a selection of companies operating with success in China. These analyses reach beyond general descriptions and offer strong insight into the workings of the Chinese economy, which is the key to the development of adequate and successful strategies. The source of all the information below is the publication “Behind the China Kaleidoscope: A guide to China Entry and Operations” (Shanghai, 2006), a comprehensive study by CH-ina (Shanghai) Co. Ltd. published by OSEC Business Network Switzerland, Swiss Center Shanghai and the Swiss-Chinese Chambers of Commerce in Switzerland and China. By July 1, 2005, 1,388 Sino-foreign joint or collaborative ventures were engaged in the construction industry mainly active over Shanghai, Beijing and the Province of Guangdong. Chinese investigation and design units have set up joint ventures with units from 16 other countries. These foreign contractors in China mainly come from the U.S.A., Japan, South Korea and 13 other countries, including 24 enterprises ranked among the 225 largest international project contractors worldwide. In 2004, there were 411 foreign investment projects in constructions, down 6.59% over the previous year. The contractual foreign investment value reached USD 1.77 billion, up 3.26%. And the actual activated foreign investment value was USD 772 million, up 22.91%. Several Swiss construction and construction material companies are already active on the Chinese market, together with a few Swiss architects. The well-known Mario Botta and the pair Herzog & de Meuron have won prestigious international design competitions for major construction projects in China such as the Olympic Stadium for the 2008 Games and the Tsinghua University’s Museum of Art in Beijing. These projects and their architects attract good publicity not only in Switzerland, but also in China. Swiss construction and construction design companies might benefit from this good Swiss made image with a very positive impact on their business. Since Chinese buildings mostly do not meet isolation and construction standards common in Western Europe and especially in Switzerland, the Chinese Government considers improving domestic standards in order to save energy and protect the environment. However, regulations on sustainable construction have not been implemented yet. As soon as the Chinese Government does so and enforces these regulations, plenty of possibilities for Swiss companies involved in building planning and isolation materials should arise. By the end of 2004, China’s machinery industry included roughly 14,900 companies employing over three million workers. Major centers of machinery production are located in the Provinces of Zhejiang (3,204 firms), Jiangsu (2,656 firms) and Shandong (1,550 firms). In 2004, China’s machinery industry posted a combined production value of USD 360 billion, with a year on year growth rate of 27.4%. During the first five months of 2004, the output growth rate increased steadily, but a slight decrease in growth began in June of the same year. Imports of the total machinery sector amounted to USD 137 billion, up almost 50% year on year. Exports accounted for USD 85.79 billion, up 42.77% in 2003. This caused a trade deficit in the sector of USD 51.2 billion. In 2004, the fastest growth in profits came in the sectors of Agricultural Machinery, Electrical Machinery and Machine Tools. Enhanced governmental support to rural areas boosted the Agricultural Machinery sector while shortages in power increased the demand in the Electrical Machinery and Apparatus sector. Forecasts indicate that production for the entire machinery industry will grow from 15 to 20% year on year in 2005. Profits are predicted to grow by roughly 10%. Fast growth is expected in the Electrical Equipment and Chemical Industries, while slowing growth will affect the Engineering and Automotive sector. According to Wang Yang of Georgia Technical Institute, the next battle for corporate competitiveness will be about supply chain management. This battle has already begun, and the Chinese logistics industry, keeping with China’s broader growth trends, has displayed and will continue to display exceptional growth. According to Transport Intelligence’s report China Logistics 2004, the Chinese logistics industry is expected to expand at a compound annual growth rate of 33% through 2007. Partly due to the industry’s previously underdeveloped state, this strong increase, especially by third party logistics firms (3PLs), is expected to benefit from the growing numbers of multinational corporations in China and an increasing number of domestic firms outsourcing their logistics functions. According to Hong Kong’s General Chamber of Commerce, China’s logistics spending, including both outsourcing and corporate in-house logistics expenditures, is nearly 20% of GDP, roughly twice that of developed countries such as the U.S.A. Total logistics costs in China are estimated at as much as four times that of developed countries, due in large part to the high cost of moving cargo in China, which President of the China Merchants Group Fu Yuning contends could be 40%- 50% higher than in developed countries. Clearly, despite underdevelopment and barriers that have historically been very high, current liberalization and the opening of China’s logistics sector, combined with the tremendous size and momentum of the Chinese market, are making the Chinese logistics industry bright with opportunity for companies with adequate guidance, resources and expertise. China has become the world’s main producer of garments; China’s garment export reached USD 78.85 billion in 2003, accounting for 24.5% of the world’s total garments exported. Current estimates lift this share to 50% in the next few years if no new protectionist measures be taken in replacement of textiles quotas, which should be completely abolished by the end of 2007. Textiles Machinery suppliers sell 50 to 70% of their output to China. More and more Western textile equipment producers are setting-up sourcing and assembly operations in China. They are re-engineering and re-designing their products to suit China, the main customer. Most of Textiles Machinery producers will eventually produce part of their ranges in China to remain competitive with the local equipment manufacturers. For example: Benninger, Saurer, Rieter, Steiger, to mention only a few of the Swiss companies established in the Shanghai area. The Italian and French fashion textiles producers (the garment-makers at least but also the rest of the production chain, by repercussion) are closing one after the other, replaying the disappearance of the Swiss non-technical textile industry in the 90′s. Interestingly enough these advantages also present an order from harder ware to softer ware; which also reflects how physically close the supply-chain element must be in order to serve effectively the sophisticated high-income end-users on the developed markets. Textile equipment will be more and more produced in China, if only because China is the main consumer of such. Equipment and suppliers need to be close to their clients. With production moving, R&D naturally follows, again to serve customers better. Designers, marketers and retailers will need to remain close to those who wear their products. As a result, fashion design activities as fashion design will naturally remain located within high buying power markets. Most interesting might be the case of the Mobile Telecommunications industry, which has become one of the largest and fastest growing worldwide. The manufacturing of telecommunication equipment requires many high precision parts, particularly in the mobile part of the industry, in applications for handsets, but also for land-based transmitting and switching equipment. In September 2005, news spread that the global number of subscribers to mobile phone network services passed the two billion mark. China, the largest mobile phone market in the world, represents more than 400 million subscribers, 20% of the world total. The world forecast for subscribers and handsets is still for fast growth mainly in less developed regions, such as China, India and Eastern Europe. The number of subscribers worldwide is expected to reach three billion by 2010. At the same time, in 2005, global handset sales are expected to reach 750 million units. China, where sales have been growing at around 15% per annum over the past two years, currently accounts for 12% of total global sales. In the manufacturing arena, 60% of global production of mobile handsets is handled by Taiwanese companies, part of which produced on the Chinese mainland. Altogether, one third of the world’s mobile phone handsets is being produced in China. However, the main manufacturing sites for handsets are located in Malaysia, Taiwan, and China, with China developing very quickly and Malaysia stagnating. China’s role as the global workshop for mobile phones is expected to increase even further. By 2009, 74% of the world’s mobile handsets will be made in China. In addition, China will also be the largest market for these devices. China is recognized first and foremost as a global manufacturing hub, supplying goods at highly competitive prices thanks to its cheap, unskilled labor force. However, it is still little known that the country has started competing for its share of the global IT market nearly two decades ago. In 1988, the State Council approved the TORCH program, designed to develop, commercialize and internationalize high technology industries in China. The program is considered an important component of China’s national strategy of “Revitalizing the Country through Science and Education”. Today, there are 53 high-tech zones including 29 national software technology parks, which offer IT and software companies tax breaks and support their export efforts. Most of these industry incubators are located on the East coast, where the regional administrations have succeeded in fostering close ties between universities and the corporate world. The primary reason for Swiss companies to enter China is the huge potential of the domestic market with a population of 1.5 billion. According to Gartner, a leading technology market research firm, “Country before Company” should be the paradigm for any decision regarding outsourcing. In essence, this means that corporate entities should determine first of all on which market they want to build a strong presence, before choosing the right partner for that specific market. China has continuously and strategically invested into renewing i.e. building up a brand new telecommunications infrastructure. Furthermore, China has become one of the key decision-makers in global industry standard forums like the Institute of Electrical and Electronics Engineers (IEEE). Chinese IT companies can tap into an abundant and growing pool of talent as the work force of highly skilled engineers with excellent English language skills is growing rapidly. The number of IT graduates per year has exploded over the last few years. In 2004 alone, 250,000 new Computer Science & Software graduates have entered the job market. China’s long term demand for chemicals is expected to grow by 6% to 8% annually compared to 2% to 3% in North America and Western Europe, making the country the most attractive market for commodity and specialty chemicals. Demand comes from both domestic consumption and exporting companies. The country’s chemical consumption accounted for approximately 15% of global demand in 2002, placing it second among the world’s largest chemicals consumers. In the first 11 months of 2004, China Chemical Reporter disclosed that the sales value of China’s chemical industry grew by 32.8%. Goldman Sachs projects that China’s consumption of chemicals could reach up to 20% of the global demand in 2006. The strong part of this demand is made of commodity chemicals. At the moment, China’s chemical industry is focused on the manufacturing of bulk and commodity chemicals. The Chinese Government however aims to increase the ratio of the fine and specialty chemicals to 45% of the country’s entire chemicals industry by the end of 2005. To achieve this goal, the Chinese Government has issued preferential policies, tariff reductions and investment incentives towards production of fine and specialty chemicals. China’s push to strengthen its specialty chemicals production is part of the State’s drive to move Chinese manufacturing further up the value chain. China is definitely the largest potential market for medical devices in Asia. The business drivers in China’s Medical Device industry are simply an increasing and aging population and the steady rise of living standards. These factors influence the direction of research, development and production of the whole industry. With a growing economy and a population of more than 1.5 billion, China presents both opportunities and challenges for all international medical device manufacturers. Medical devices are considered to be any instrument, apparatus, appliance, implant or material along with any related equipment for the prevention, diagnosis and treatment of any human illness. According to SFDA statistics, 20,255 new medical device registration certificates were issued by the end of 2003, of which 4,742 were imported products. Class III products accounted for 3,564 certificates; Class I and Class II for 16,691 products. This contrasts sharply with the 2004 figures, when a total of 29,480 new medical device products were registered. 23,779 were Class I and Class II and 5,701 were Class III. Of all these, 21,707 were produced locally, 7,595 were imported and only 178 came from Hong Kong, Macao or Taiwan. This substantial growth in registration of new products clearly demonstrates the growing demand for medical devices in China. There are two ways for foreign institutions to provide health services to the Chinese. Either by treating them in clinics and hospitals in their own countries, or by setting up hospitals in China. While some foreign-based private clinics have already started to contact wealthy Chinese for medical treatment abroad, at present the establishment of hospitals in China is quite a rare thing. So far, only a few foreign-invested hospitals have been set up. In 2003, most of the 60 foreign-invested medical institutions were dental or plastic surgery clinics, which do not provide the wide range of services required for them to be classified as hospitals. The first fully-operational medical institution in mainland China was the Beijing United Family Hospital and Clinics, which opened in 1997 as a joint venture between the US-based Chindex International Inc. and the Chinese Academy of Medical Sciences in Beijing. In 2004, Chindex established the Shanghai United Family Hospital and Clinics as a joint venture with the Shanghai Changning Central District Hospital. Chindex has already signed a Letter of Intent with Xiamen Zhongshan Hospital for a third hospital in Xiamen, and the company has announced that others may follow. Given the troubled state of Chinese healthcare, the few foreign players in the country and the excellent reputation of Swiss healthcare, there should be a wide range of opportunities for Swiss private clinics to establish subsidiaries in China. The different dynamics, due to the immature health system and strategic limitations (the need for a JV or cooperative, 20-year time limit with uncertain possibilities for extension) are restrictions which require careful analysis and preparation beforehand. Between 1999 and 2004, Switzerland issued around 2,500 visas per year to Chinese students, of whom only around 30 were state-funded. Swiss public universities don’t usually accept Chinese middle or high education degrees and have strict requirements on language and professional qualifications. Therefore most Chinese students are unable to enter, so then instead apply to private universities, whose enrolment requirements are comparatively low. Most Chinese students enroll in hotel management and language schools. Education has become one of the most important issues in the Chinese family, especially in developed areas. Young parents are, more than ever, willing to invest in their child’s future, even from the kindergarten stage. However, China is not very strong in pre-school education and this is precisely one area – with little competition at present – where relatively low investment can generate high profits. Compared to China’s coastal areas, inland China is less developed, and more in need of investment in its education system than its richer cousins. The market need for education in inland China is huge. However, one should take into account the relatively low personal income level there when conceiving pricing policy, investment scale and product design. Vocational study is another area that needs further investment. Chinese people have traditionally attached more importance to degree-style, academic education, whilst neglecting vocational studies. As a matter of fact, multinationals complain that compared with engineering graduates in Europe and North America, who work in teams to achieve practical solutions, Chinese students get little practical experience in projects or teamwork. This is mainly due to the educational system’s bias toward theory. Yet, the market demand for skilled technicians is now higher than ever, and some experienced technicians are better paid than degree holders nowadays. The Chinese Government has put development of vocational education at the top of the list in its 9th Plan for Educational Development. This is good news for the foreign education institutes that have extensive experience in this field. However, promoting the prospects of well-educated and skilled technicians also deserves more attention. “Snow and the scenery are the main reasons for Chinese people to travel to Switzerland”, says Juerg Schmid, director of Switzerland Tourism, adding that sightseeing and shopping have become more and more important. Switzerland Tourism expects a continuous increase in overnight stays by mainland Chinese visitors from 230,000 in 2004 to 300,000 in 2005, and a further annual growth of 25% for 2006 and 2007. Chinese travelers spend around CHF 450 (USD 350) per day on accommodation, meals, transport and shopping during their stay in Switzerland. Therefore, the turnover from tourism in Switzerland can be estimated to be worth some CHF135 million (USD105 million) for 2005, CHF169 million (USD131 million) in 2006 and around CHF211 million (USD 164 million) by 2007. The Swiss Federal Statistics Office’s half-year figures for tourism in 2005 show that mainland Chinese tourists – Hong Kong not included – have spent 74,022 nights in Switzerland since the beginning of the year. That is 96% more than for the corresponding period in 2003, although admittedly in the first half of 2003 the number of Chinese visitors to Switzerland was down by 33% as a result of travel bans impact of SARS. Despite this, however, when comparing the figures for the first half of 2004 and 2005, a healthy 40.6% increase in Chinese visitors can be noted, and this is mainly perceived as a direct result of the “Approved Destination Status” (ADS) agreement. Over the past five years, the number of overnight stays by Chinese tourists in Switzerland has increased by an average annual rate of 19%. Nonetheless, of all the overnight stays by foreign tourists in Switzerland for the first half of 2005 (more than 9 million), the visitors from China represented only 0.8% of the total. Interesting as well: while mainland China is becoming an increasingly important source of visitors for Switzerland, the number of overnight stays by Japanese tourists has decreased by 133,857 in the past five years – a drop of more than 35%.